The true art-lover cherishes this day spent at three prestigious, yet somewhat secretive sights. 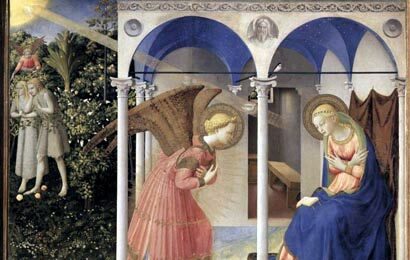 The Convent of San Marco is home to Fra Angelico's famous frescoes, highlighted by his "Annunciation". The Convent also houses what many consider to be the world's first public library, designed by Michelozzo. Important works are viewed at the gothic church, Santa Maria Novella, including the Strozzi Chapel of Lippi, Masaccios' "Trinity", and the frescoes of Andrea Orcagna. Florentine sculpture and works abound at the Bargello Gallery, highlighted by "Bacchus" of Michelangelo, "David" by Donatello and masterpieces of Cellini, Brunelleschi and Verrocchio. The in-depth world of Renaissance Art is further revealed through the knowledgeable words of your Lecture-Guide.